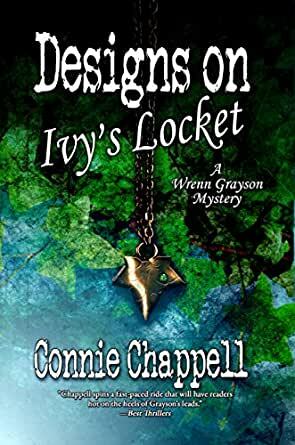 Designs On Ivy's Locket: A Gripping Suspense Novel (Wrenn Grayson Mystery Series Book 2) - Kindle edition by Connie Chappell. Literature & Fiction Kindle eBooks @ Amazon.com. Historian-for-hire Wrenn Grayson takes on a difficult client in Kerry St. John. Kerry seeks justice for his great-grandfather’s lifelong heartache. Wrenn meets the renowned jeweler through words recorded in his tattered journal. The year is 1946. He writes from the tiny crossroads of Wyatt, Ohio, about the theft of a treasured locket and the identity of three possible suspects. 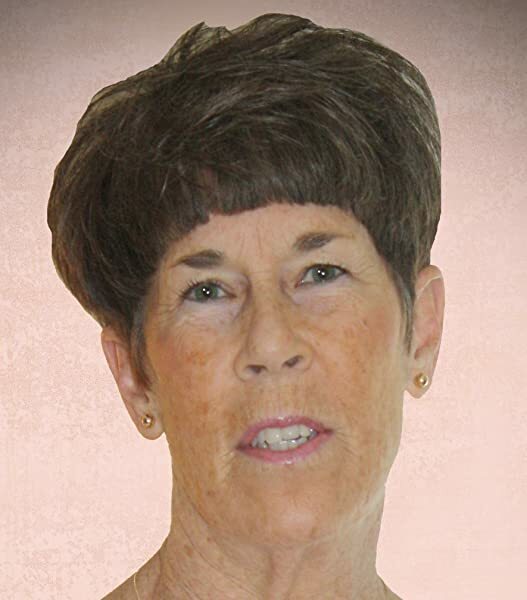 ˃˃˃ The cold case heats up when Lori Hammond arrives. The stolen locket was discovered among her mother’s possessions after her death. Lori refuses to return it to the St. John family, so Wrenn sets out to follow the locket’s path through history. Next, Lori is attacked and Kerry accused. If Kerry’s not guilty, then who is? That question sends cold whispers from the past down Wrenn’s spine. ˃˃˃ In Designs on Ivy’s Locket, Connie Chappell focuses on the theme of parents and children, separated by death, by theft, and by design. What a wonderful book! This is the type of book that makes you wish you had no other obligations except to read it. Designs on Ivy's Locket combines humor, intense action, and great storytelling skills. A well-plotted book with rounded characters you love, hate, sympathize with, empathize with, fear, suspect; in other words, characters who become real. And that is successful writing. A detective story that will compel readers to turn the pages, thanks to the beauty of the prose, the sophisticated characters, and the gripping plot lines. Scroll up and grab a copy of Designs on Ivy's Locket today. DESIGNS ON IVY&apos;S LOCKET RECEIVED THE SILVER MEDAL IN THE 2018 READERS&apos; FAVORITE INTERNATIONAL BOOK AWARDS CONTEST FOR FICTION-MYSTERY-GENERAL. I could not give this book five stars because it has cursing in it. It is a good mystery. I would have enjoyed it more if the curse words had been left out. 5.0 out of 5 starsFast paced, Thought Provoking Mystery! What a lovely, lovely, bittersweet story! Wonderful characters and tightly twisted plot. Wrenn Grayson, historian for hire, is researching families from a defunct town in an attempt to solve the case of a valuable stolen locket. As the mystery grows more complicated, someone starts attacking the major players and threatening their loved ones. Must Wrenn give up? Can she? A very well written, intriguing story. I found that I enjoyed it most when I had time to read every day. Because of myriad characters, if too much time had elapsed, I found it hard to remember who was who. I also had a problem with a man named Kerrie. I kept thinking of him as a woman. The same happens with women named Alex or Sam. It stops the flow of reading. This book is well written with realistic characters. Follows an investigation with attention to details allowing the reader to figure out who what and why right to the end. Not one of those books where hidden facts are revealed at the end. 4.0 out of 5 starsThe mystery behind Ivy's locket. The characters were interesting and well written. The story was woven with just enough twists and turns to keep you guessing. I liked the surprises in the plot. All in all a good book well worth reading. I really enjoyed the characters and mystery. I am going back to the beginning and read it now! 5.0 out of 5 starsA mysterious read. A look into times and people's pasts. Who were the evil doers? Who were really the good guys? Interesting characters either way. 5.0 out of 5 starsRead when you have time to do it one sitting!